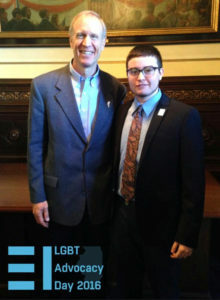 LGBTQ Advocacy Day in Springfield is next week. Please join us. 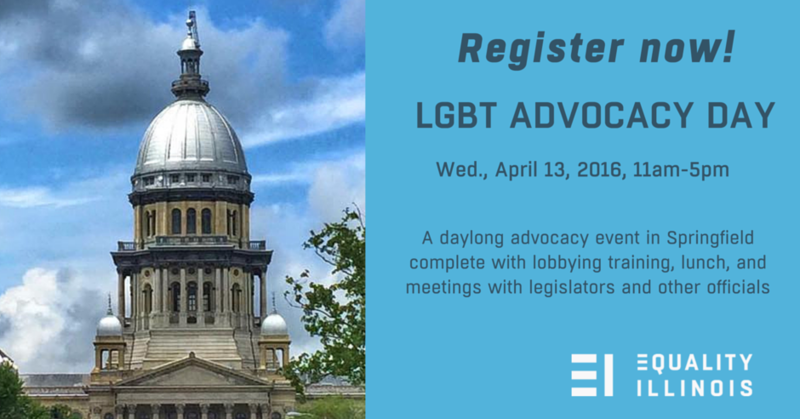 Register today for Wednesday, April 11 to talk to lawmakers about the Inclusive Curriculum Bill to teach students the historical events and contributions by LGBTQ people. 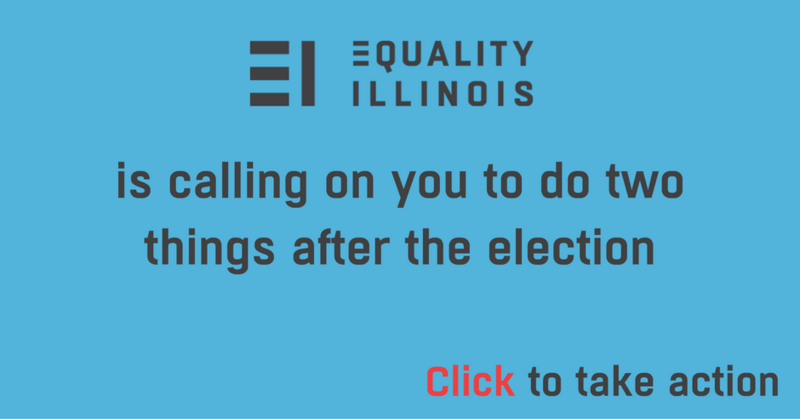 There are citizen advocates driving and car pooling from all corners of Illinois or arriving on our bus from Chicago. 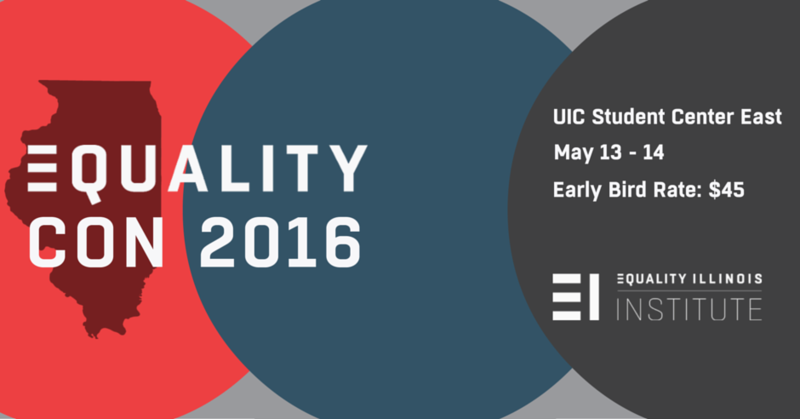 The bus departs at 6am from Equality Illinois at 16 N. Wabash Ave. and at 6:35am from Affinity Community Services, 2850 S. Wabash Ave.
LGBTQ Advocacy Day in Springfield is a month away, and we’re happy to announce that Affinity Community Services is a community partner and second bus pickup location for the April 11 day trip to Springfield. 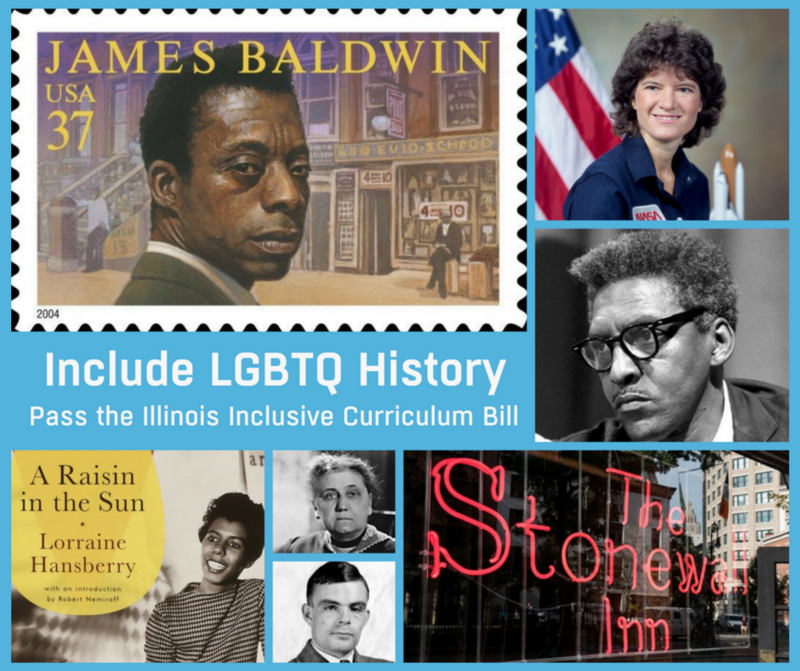 One of our priority issues will be the Inclusive Curriculum Bill, an initiative of Equality Illinois and the Illinois Safe Schools Alliance, to teach students the historical events and contributions by LGBTQ people. An LGBTQ-inclusive curriculum can also have a positive affect on students’ self-image and make their peers more accepting. 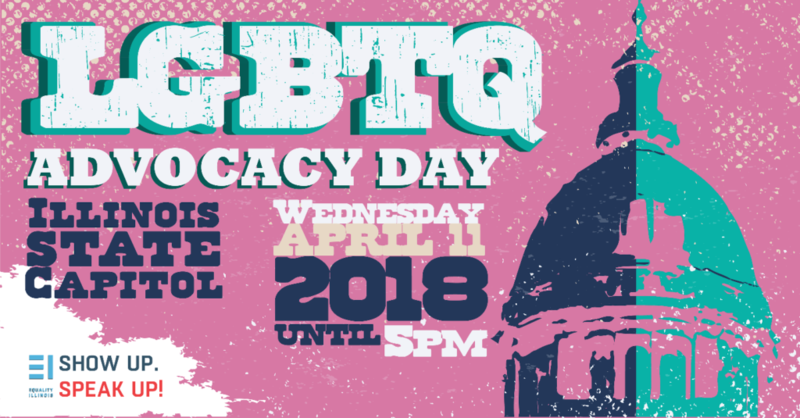 LGBTQ Advocacy Day includes lobbying training, meetings with legislators, and a visit to the Capitol, plus a box lunch and concluding reception. 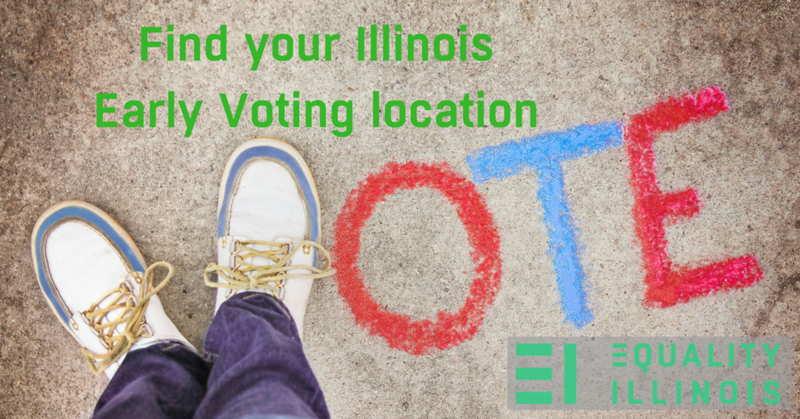 Registration includes transportation selection: bus from two locations in Chicago or driving on your own, including car pooling and ride sharing. 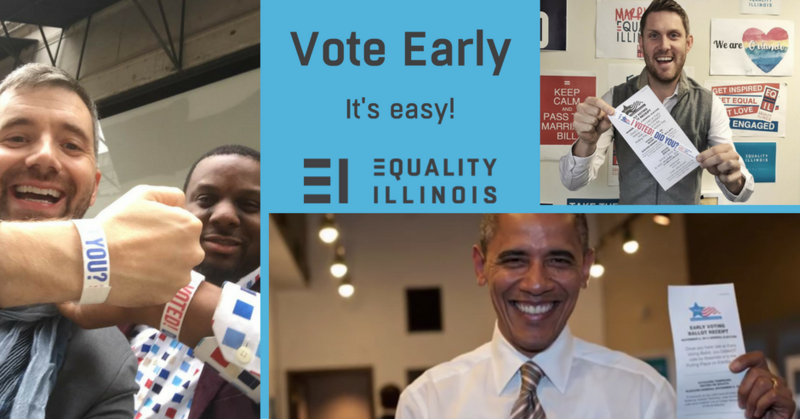 The bus departs at 6am from Equality Illinois in the Loop at 16 N. Wabash Ave., and from Affinity Community Services, 2850 S. Wabash Ave., at 6:35am. 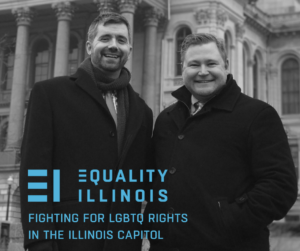 As the 100th Illinois General Assembly convenes its two-year session on Wednesday, Equality Illinois CEO Brian C. Johnson and Director of Public Policy Michael Ziri are on the case in Springfield representing LGBTQ Illinoisans. 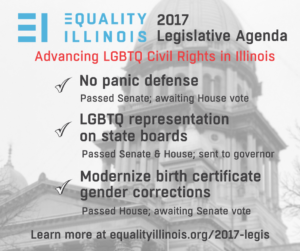 Brian and Mike are working with our legislative allies and alongside partner organizations to make sure no pernicious bills become law and to fight for fair, equal and just treatment for all Illinoisans. 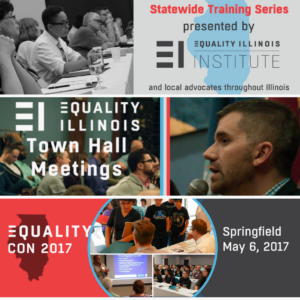 Stay updated about Equality Illinois’ advocacy work on Facebook or by bookmarking this website equalityillinois.org. 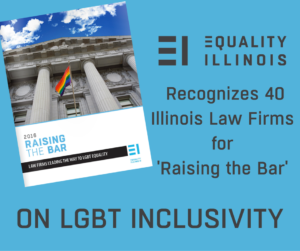 Forty Illinois law firms that lead the way in providing a welcoming and fair work environment for LGBT employees and engaging with the LGBT community are being recognized by Equality Illinois for “Raising the Bar” in 2016. 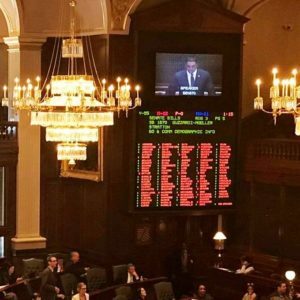 In a growing and welcoming trend that helps spread fair and equal treatment, the annual Equality Illinois Law Firm Survey found that not only are the law firms creating affirming work spaces for their own employees, but they are increasingly demanding that the same respect be demonstrated by the vendors and contractors with whom they work. 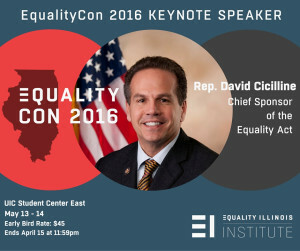 “Law firms–as institutions that make the practice of law their business–play a particularly salient role in advancing LGBT equality. 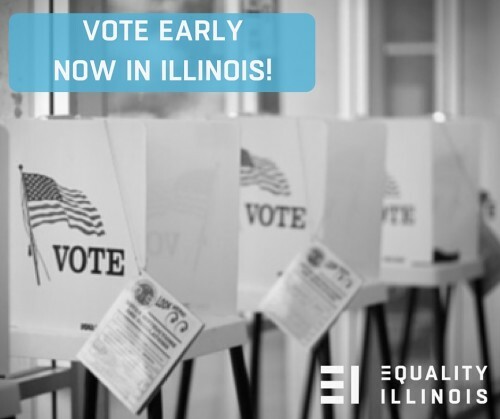 When law firms not only fight for equality and inclusiveness, but mirror the world they hope to see within their own offices, they send a powerful message about the importance of fully embracing all coworkers and staff equally,” said Brian C. Johnson, CEO of Equality Illinois. 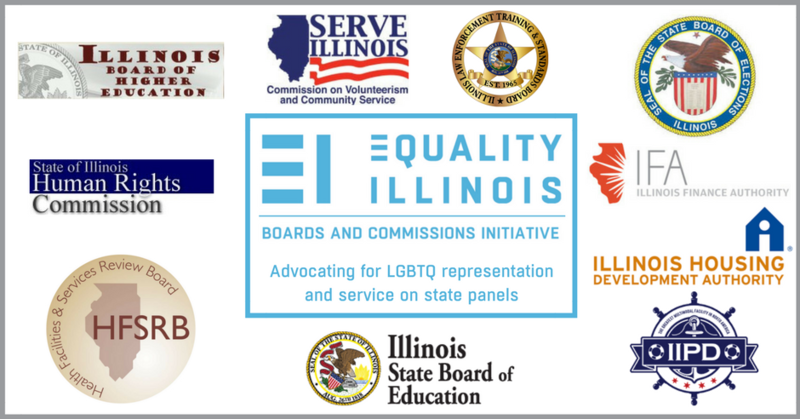 Today, I am both proud to begin my service and humbled to build off 25 years of amazing work to lead Equality Illinois into our next phase. 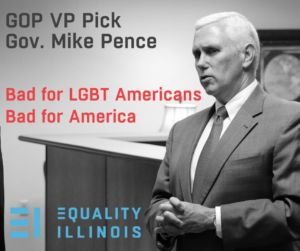 Our fight for equality is far from over. 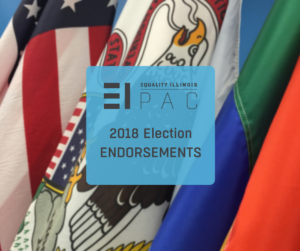 From challenges facing transgender people and LGBT youth to protecting our many wins, we must continue fighting as a united voice until we have achieved full equality and acceptance. 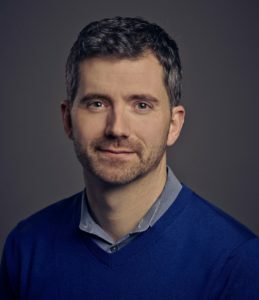 During this anniversary year, we have a unique opportunity to reconnect with our community, expand our inclusiveness and talk one on one with stakeholders about their hopes and fears for the future. This is why I am excited to announce a summer-long listening tour that will take me on the road to cities, towns and neighborhoods across Illinois. 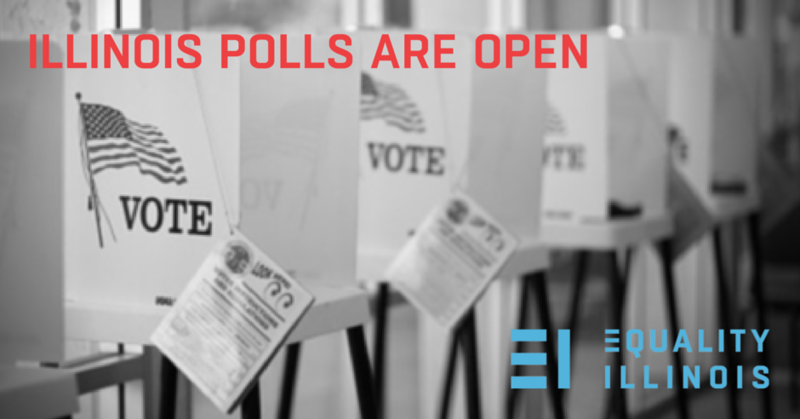 Illinois polling places are now open and will be open all day until 7 pm. 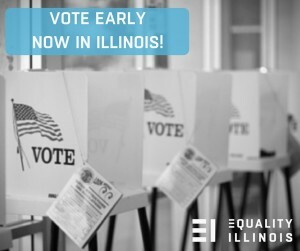 Even if you are not registered, you can still register and vote today for the first time in a presidential election. 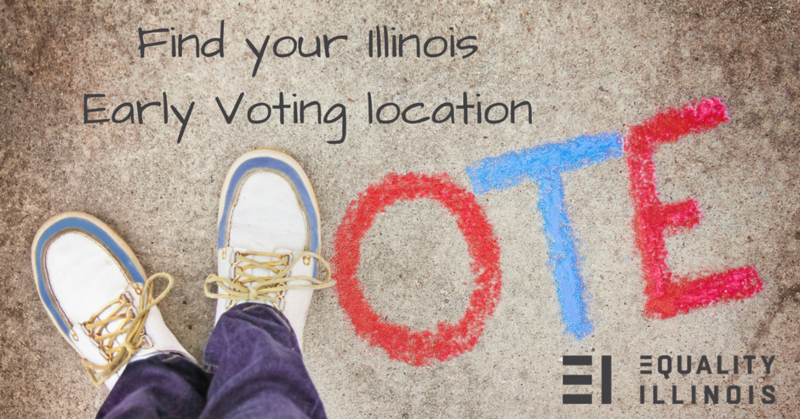 Check you polling place and check your registration status at our 2016 Voter Information Page. 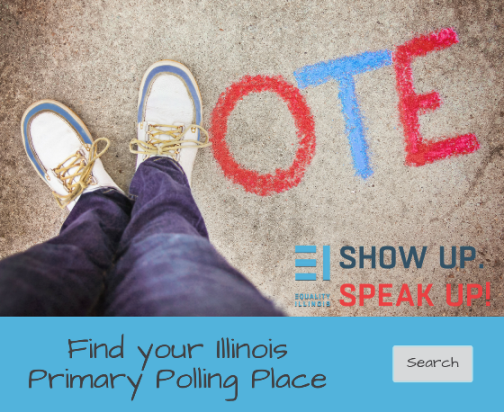 Make sure your voice is heard and vote today!